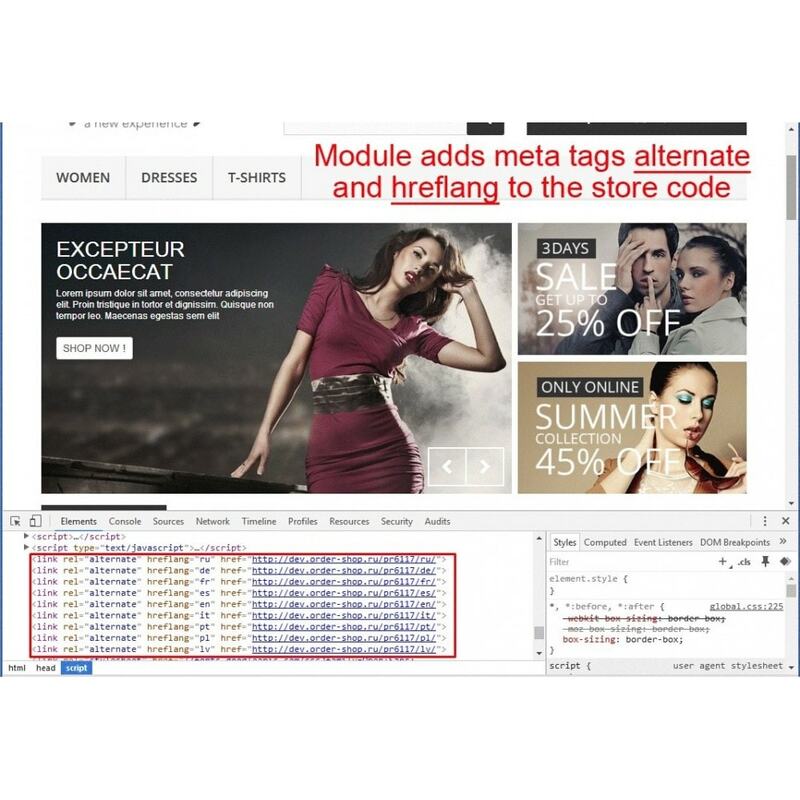 This module allows to optimize your multilingual store for search engines. 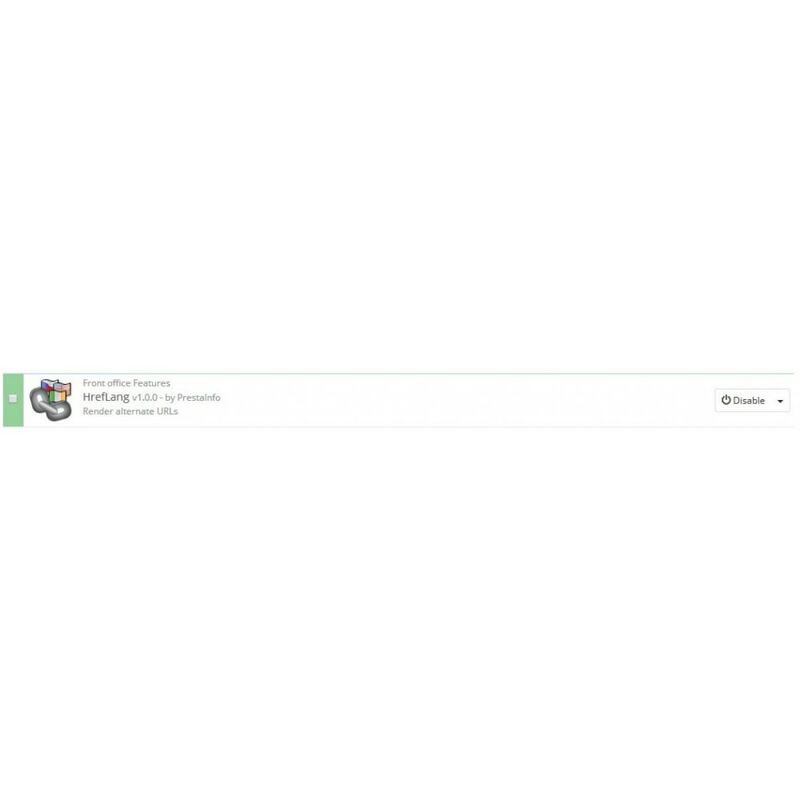 It helps search crawlers correctly recognize the store pages, translated to different languages. 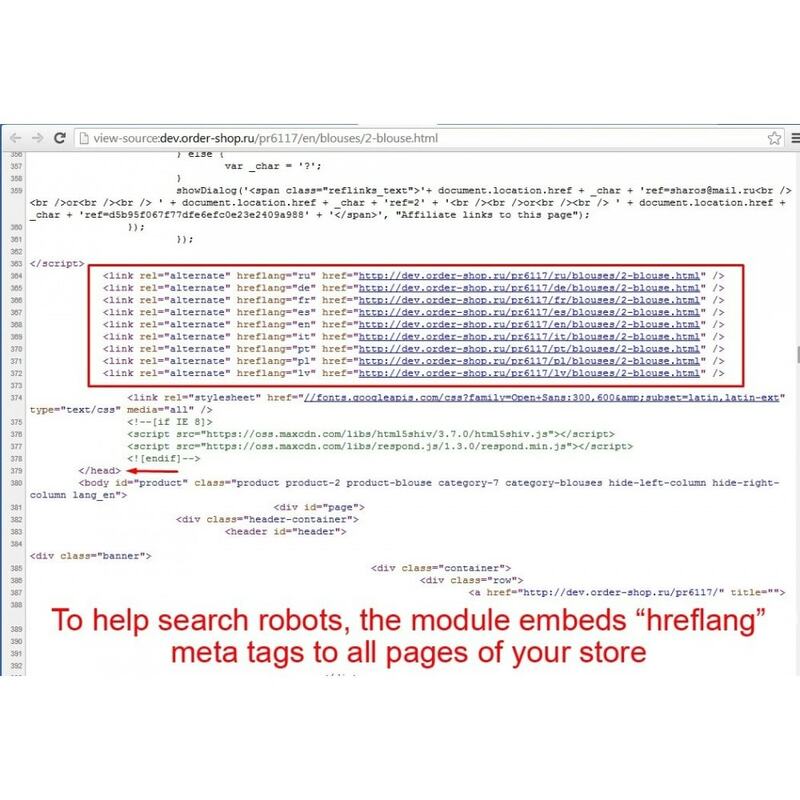 The module adds to the store's code meta-tags alternate and hreflang useful for SEO promotion. With "hreflang" tag your search results will be shown up in the correct language, making sure that visitors land on the correct pages as well. The module does not require any settings! Does your single-language shop already work? You want to add new languages, but the URLs will change and SEO rankings will suffer - the language prefix is added, when there are two or more languages. Use the Delete Language Prefix module to avoid it. With this module, store customers can fill up in advance his/her personal account and immediately pay from it (fully or partial, if not enough money) all purchases in the store.